Often there is an ‘end of term’ feeling to the last round of a 9 day or more tournament. Players are content to agree a draw with their new or old friends. This was not at all the case here where there was so much going on it was impossible to keep up with everything. Jun Zhao had 7½/8, but Alexandr Fier could finish first equal if he beat the Chinese player with the white pieces. You would have thought the Brazilian could play riskily, since it was quite likely he would be able to bail out to a draw if things got sticky. However perhaps there was another factor. Let us compare it with poker. There, if a player is doing well, then the opponents show great respect and avoid tangling with the man in form. Zhao has definitely been the player on heat. Thus perhaps it was unsurprising that the game fizzled out into a relatively mild draw. 8/9 then for Zhao and the winner’s purse of £2000. His mother accompanied him to England and I presume she has a nice, warm feeling about the event. The Chinese player gained 2.56 x 10 rating points with a TPR of 2852. Only three other players achieved a TPR greater than 2600+. Aleksander Mista v Romain Edouard was a clash between two of the three 2600+ players. Again Romain didn’t seem to mind playing Kf8, foregoing his castling rights. An interesting, highly complex middle game resulted where Black had a strong centre, but a somewhat exposed king. I found it all very confusing, which is the type of chess I enjoy. So obviously did the audience at Chris Ward’s commentary and this received the Horntye Centre £100 Best Game Prize. Maxim Lagarde v Keith Arkell was another game that was difficult to understand. Why Qc8 rather than Qd7? Was b5 really necessary, saddling black with a backward c pawn. Keith had to defend the endgame K+N v K+2B for 41 moves. This is a notoriously difficult endgame to draw. Usually we find Keith with the winning chances, particularly in the endgame K+R+B v K+R. Mark Hebden v Gudmundur Kjartasson was an unusual, wild-looking opening. Did White really get compensation for the pawn? After that his position unravelled. Maxim Rodshetin v Danny Gormally. Why not 14 Qxd7? Danny resigned on move 19. Terribly early. Chris Ward made no effort to explain why he had done so. Deep Sengupta v Benjamin Gledura. Black needed to win in order to gain a GM norm. Did the Commonwealth ChAmpion deliberately select the Exchange Ruy in the hop that his opponent would become frustrated and make errors? After all, it is renowned as an opening where Black has few winning chances. But it was a dair draw as was Bogner v Flear. I expect Miklos Galyas was losing against Jonathan Hawkins, but he ran headlong into a forced mate. Wahbi Kheit played a nice, albeit fairly obvious combination against Adam Hunt. White had a very substantial plus anyway. Tereza Olsarova v Talsma – 18…Qe8 looked very odd. Black got himself into a right old tangle. Thus Tereza won her last round game and achieved a WGM norm, the only norm of the event. This was a relief as she had played so well mid-tournament, that we didn’t want to see her go away empty-handed. 5½/9 was enoigh to share the Women’s prize of £200 with Nino Masuradze. Theodore Slade won two £200 prizes. One for the best performance by an U2200 and the other for the best improvent in rating by a player U21. He gained 2.83 x k = 2.83 x 40 = 113.2. 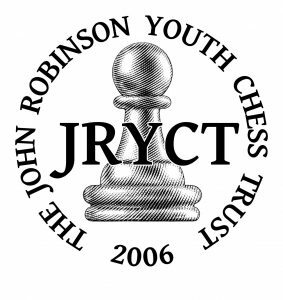 As far as I know, only in chess can juniors win cash prizes. This way of treating everybody the same is unique to our sport.